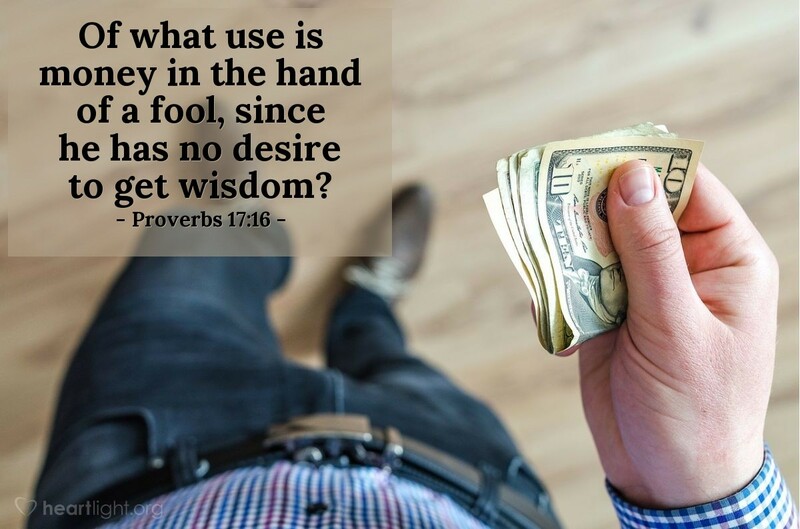 What do you value more, money or wisdom? Look closely at our verse. Money without wisdom is really worthless. It will not be put to good use and will soon evaporate in the hands of one who is foolish. Like Solomon, rather than pursuing riches or fame, let's pursue godly wisdom and the other things will take care of themselves. Eternal God and wise Father, please give me the wisdom to know what is most important for me to pursue with my time, efforts, and money. Please bless me with your holy wisdom, so that I may invest my life in what is truly meaningful and live to your glory. In Jesus' name I pray, Amen.